Minister of Information and Culture, Lai Mohammed, has defended the Federal Government’s response to the abduction of the Dapchi girls. Lai Mohammed said unlike the Jonathan administration, the Buhari-led government acted fast immediately the news broke. He said it was swift as against ex-President Goodluck Jonathan administration “slow” response to the kidnap of Chibok girls. 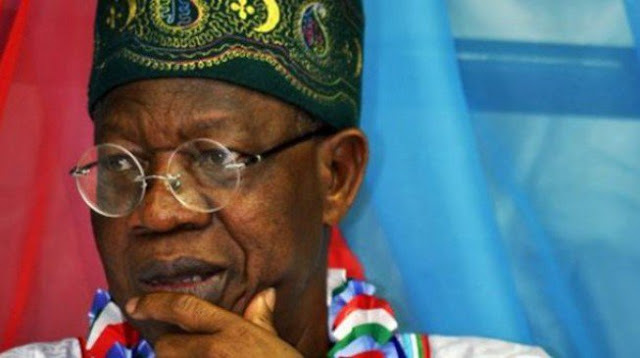 Lai Mohammed added that the Federal government had deployed over 200 hours of air search for the Dapchi girls, and stressed that the President Muhammadu Buhari’s administration had been “able to limit Boko Haram insurgents to their cowardly act of bombing soft spot and kidnapping. He said this when he spoke at the Foundation Laying Ceremony of the Editors’ Plaza by the Nigerian Guild of Editors (NGE) in Abuja. He was responding to the allegation made by Senate minority leader, Godswill Akpabio, who accused the Federal government of losing its voice since the girls were abducted. Now, don’t compare orange with apple. When Chibok girls were kidnapped, it took the PDP government 18 full days to admit that the girls were kidnapped. This time we swung into action within 24 hours. And as I speak today, I have been to Yobe State twice, the National Security Adviser (NSA), the Chief of Army Staff, the Chief of Air Staff and NSA have been there. As of yesterday, we deployed over 200 hours of air search for the girls. Our appeal to the media today is to solicit for their support. We are now in trying times. It does not matter who is involved. We seek your support. We are not saying don’t criticise us, but be very fair and do it in context. It is so easy to forget that less than three years ago, 20 out of 27 local governments in Borno State were under the control of Boko Haram. It easy to forget that in 2013 and 2014, Boko Haram insurgents were strolling into Abuja. They attacked United Nations office and the Nigeria Police Force Headquarters in Abuja. We added that the Buhari led administration has achieved a lot in the last three years. This is really working good for students who really need these services. Grammar mistakes are common so online tool can help you to write perfectly and without any mistake.